Pioneering a mutated brand of drug-fueled trap, ATL’s Peewee Longway has a bottomless array of flows. Delivering deeply NSFW rhymes over soulful piano, Master Peewee shares “Bout It, Bout It,” his latest video. Retreating to a massive mansion with scantily-clad models, Peewee experiences an NSFW fantasy in the new video, as the models compete for his attention. Featured on WorldstarHipHop, “Bout It, Bout It” is the latest video from Peewee’s State of the Art album, following “On Dat Freestyle” (3.9 million views), which finds Peewee rocking a luchador mask. Blessed with a brilliant album cover by the peerless KD Designz, which depicts Peewee creating a lean-powered, robotic version of himself, the XXL-premiered State of the Art finds the artist making the case for himself as one of trap music’s essential artists. Peewee uses the sonic backdrop of trap music as a canvas on State of the Art, painting his outsized personality and his unique sense of rhythm above rumbling bass and skittering hi-hats. 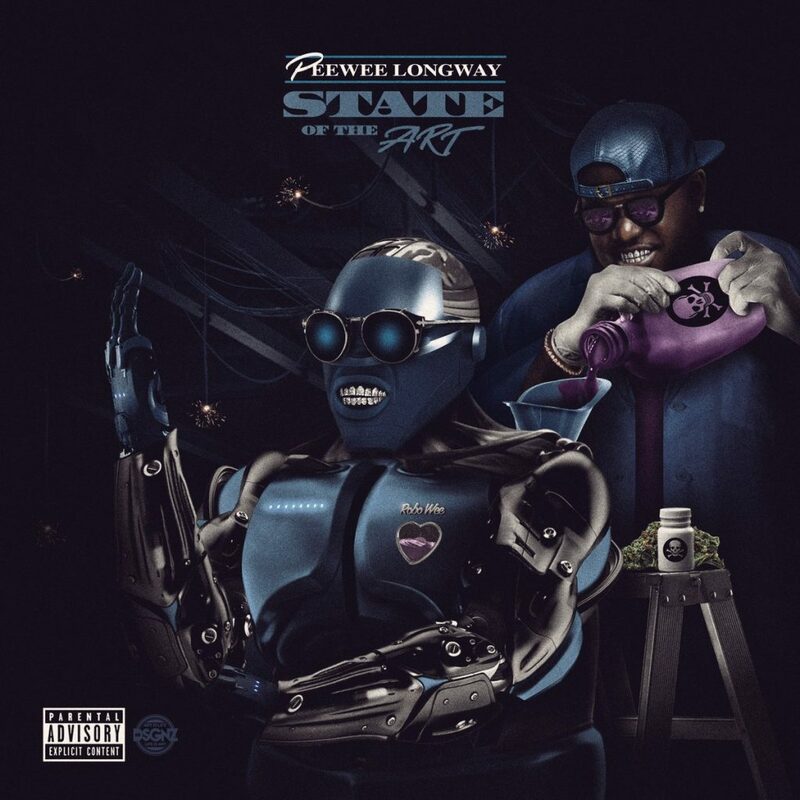 The proper follow-up to Peewee’s 2016 studio debut Mr. Blue Benjamin, State Of The Art is a testament to Peewee’s microphone prowess, offering lurching club bangers like “Shootem Up Bang,” drugged-out anthems like “Les Be Real,” posse cuts like “Trapper Gone Be A Trapper,” and other showcases of Peewee’s flexible flows. Featuring appearances from Gucci Mane, Migos, Plies, Maxo Kream, Young Nudy, and Lo Life Blacc, and with production from Metro Boomin, Mustard, 808 Mafia, Cassius Jay, ATL Jacob, Quay Global, Swaggdot, Cicero On The Beat, and more, State Of The Art released via MPA Bandcamp/EMPIRE. Peewee Longway, born Quincy Williams, is an Atlanta based artist known for his unorthodox flow and extraordinary use of intonation. Hailing from the tough streets of South Atlanta, Peewee, as his friends refer to him, grew up in a single parent home with one brother and one sister. Regardless of the obstacles he was presented with, Peewee Longway still found a way to persevere and becomeknown as one of Atlanta’s most revered lyrical new artists. His debut mixtape Money, Pounds, Ammunition was released in March of 2013. Though most became familiar with Peewee Longway from his affiliation with his mentor, and close friend, Gucci Mane’s label 1017, he actually nurtured and created his own imprint, MPA Bandcamp Music Group. The next release, Running Around the Lobby, picked up steam and earned Peewee loyal fans that call themselves “Lobby Runners”. In turn this became the name to the third mixtape he put out that same year, in December of 2013.